Trying to decide where to eat while walking through San Diego’s Gaslamp Quarter is not an easy task. It can only be described as “being a kid in a candy store” because no matter which direction that you turn there seems to be no limit of exciting and delicious places to eat. And once the better-place-just-around-the-corner mentality takes hold, it’s not uncommon to find yourself roaming from block to block in search of that better place for minutes, hours and, I’ve heard, even days! It’s not until, driven by hunger, that your mind flips that switch which awakens the cave troll living in your belly, making terrible growling noises, that you realize that you're never going to find a place to eat. In fact, you’re certain that you'll probably starve to death on a sidewalk just outside of no less than 50 good restaurants. Whoever said that having more choices is better? Is there really no place in the Gaslamp Quarter where the switch can be flipped off, and the cave troll in your stomach silenced? Luckily, there is a restaurant — The New Yorker! Once lured inside, you’ll quickly learn that it’s not the usual San Diego Gaslamp Quarter establishment. 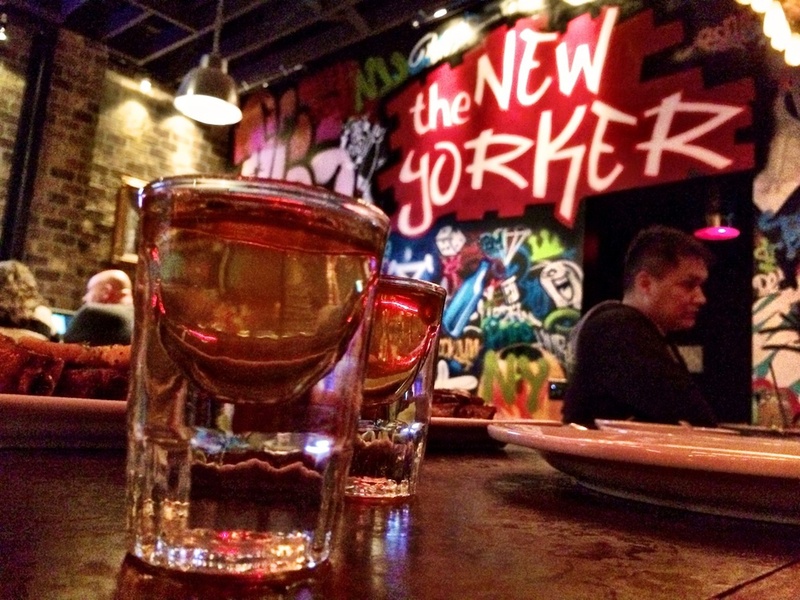 Unlike most restaurants nearby, The New Yorker has a more laid back, almost local vibe. It feels like it should be in North Park or in one of the nearby neighborhoods. Actually, the longer that you stay in The New Yorker, the quicker that you'll forget that you're even in the Gaslamp Quarter at all. Spend only a minute talking with any one of the employees or Marco, the manager, and you’ll quickly realize that this place is special. While The New Yorker's prices are reasonable, their food is anything but average. Nothing but the best is used here. Given the chance, Marco will eagerly explain why each ingredient has been chosen for each dish. He knowingly explains why one type of ingredient is picked over another, always choosing the highest quality. 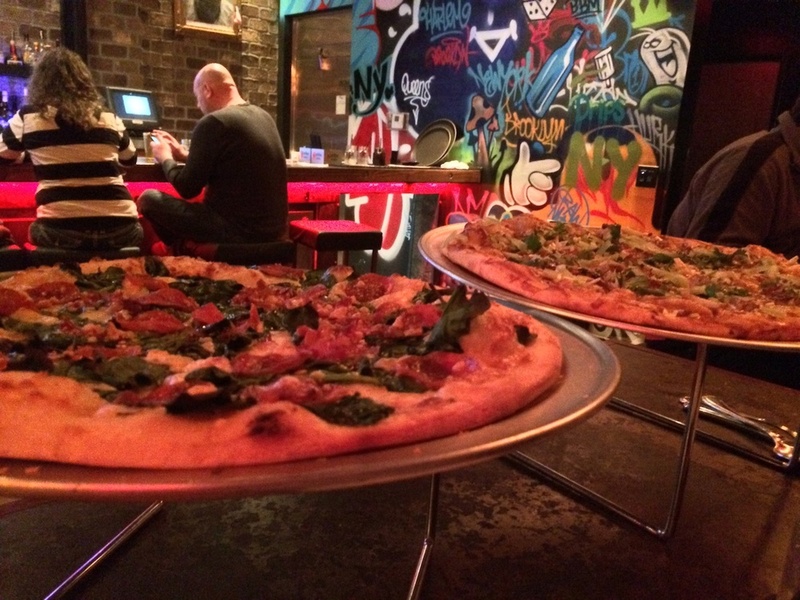 Ask him about their pizzas, and Marco will confidently suggest two of the most popular. 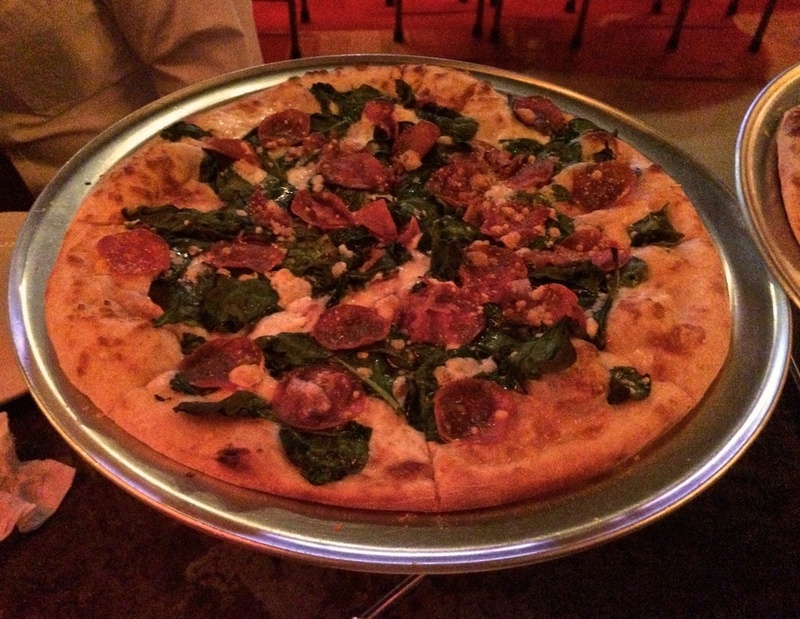 The first is The San Diego pizza which is made with the freshest spinach, the finest pepperoni, and most flavorful hand-sliced bacon on savory white sauce. The second is The Quack. Passionately, he explains that this pizza is made with succulent duck, scallions, and a perfect balance of cucumbers, cilantro and Hoison sauce — a surprisingly delicious pizza! While detailing the process to make these pizzas, which always are made with handmade dough, he stops only to say that he would need to write ten pages just to describe the flavor — if that's not passion then I don't know what is! Pizza is not the only offering here. 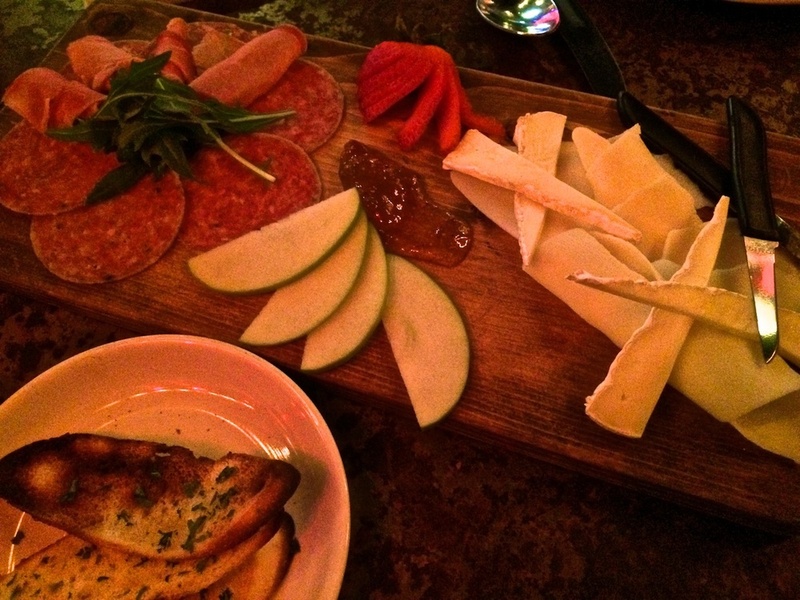 For appertizers, they have a Meat &Cheese Board of Manchego, fine Salami, savory Proschiutto, and delicate fruit compote, Duck rolls, Pizza Fries and more. If you’re looking for something a little lighter to eat while your friends are chowing down on The Quack or The San Diego, they also have soup and salad selections. 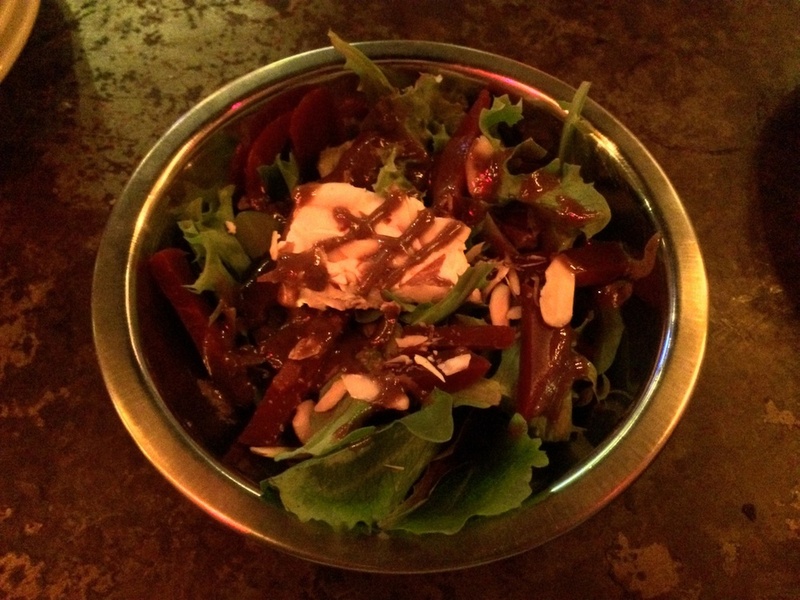 The Beet and Goat Cheese Salad is equal to any salad that you might find in any nearby fine dinning restaurant, but without the hight price. Marco points out that they only use Cowgirl Creamery, Humboldt Fog cheese — an amazing organic goat cheese. His constant emphasis on the best becomes very clear as he explains each dish. For soups, the homemade Roma Tomato Basil soup is incredible! Completely made in-house, the texture, flavors and aroma of this soup is on a level that can only be achieved by a skilled chef. Additionally, they also entrees other than pizza. Where the ingredients for The Quake work brilliantly as a pizza, they work equally well as tacos which they also serve. If ribs are what you crave, they're more than happy to satisfy that desire. 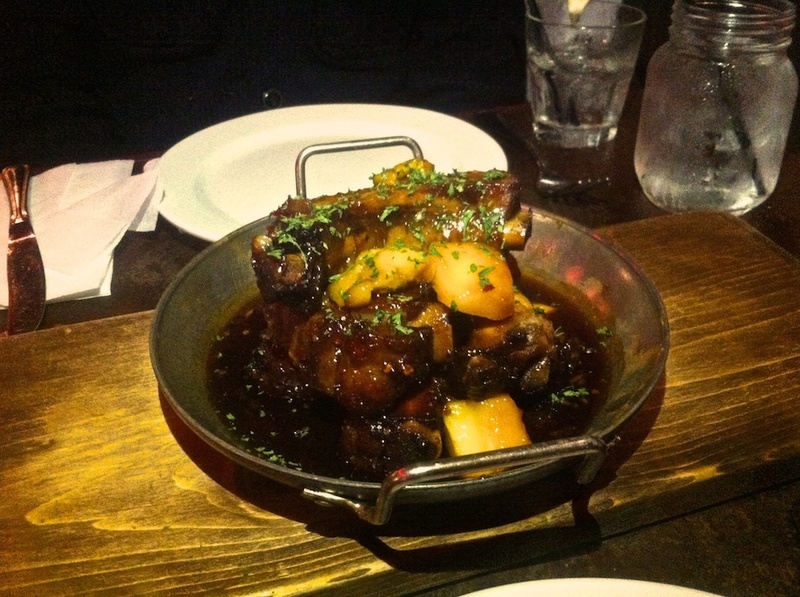 Their Mango and Balsmic glazed spare ribs are to die for! The ribs are marinated for 24 hours before being slow roasted for another three. The result is a fragrant and flavorful spare rib that's so tender that it will fall right off the bone without even touching it! The New Yorker not only strives to serve the best food with the finest ingredient, but they also take pride in making the finest handcrafted cocktails using their own infused liquors. 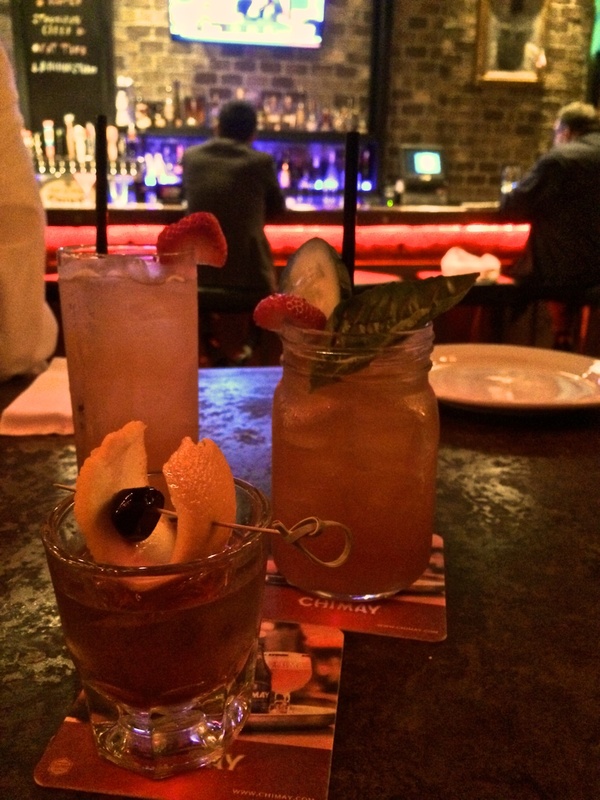 Created by an in-house mixologist, their infused liquors would delight the most skeptical connoisseur. They have a Strawberry Bullet Rye made with a gin infusion strawberry, and Allagash, and there version of a Old Fashion made with the highest quality cherry which Marco promises makes the difference - it absolutely does! If you're brave they also serve a bacon and maple syrup infuse bourbon. They like to call it breakfast with a kick! As an enigma in the Gaslamp Quarter, The New Yorker offers pizza-by-slice and fine dinning dishes side-by-side at incredibly reasonably prices. The atmosphere is inviting while still being trendy, and the staff is incredibly friendly and passionate about their food. — I forgot to mention that on weekends during the summer, they stay open until 3am where you can buy a hot slice of pizza after partying the night away at one of San Diego's hot clubs across the street.